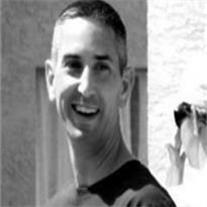 Michael John Morris, 34, passed away July 5, 2010 in Mesa, Arizona. Graveside services will be held Friday, July 16, 2010 at 10:00 AM at the National Veterans Memorial Cemetery of Arizona, 23029 North Cave Creek Road in Phoenix. Arrangements by Bunker’s Garden Chapel.